Henry Ford founded his company in 1903 and for nearly 110 years they've been making some of America's most beloved cars and trucks. For decades the Ford Crown Victoria has been a favorite of law enforcement agencies across the country. While the Mustang has endured for nearly a half-century,(growing from humble beginnings as a "fun" car that produced barely 100 horsepower, to today's models that have 300 or more), the Thunderbird has been discontinued although the early models (1955-1957) remain wildly popular with collectors who gladly pay 10, 20, or even 30 times the car's original purchase price. 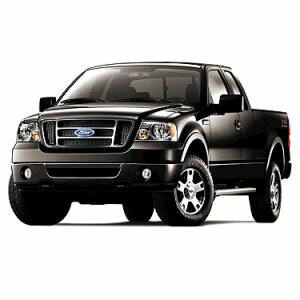 The Ford F-150 has been the country's top-selling truck for 34 years. These are quality vehicles that deserve quality care. At A1 Transmission Service Center, we've been repairing, rebuilding and replacing Ford transmissions since 1965. There is no substitute for experience and we have all the tools needed to get the job done right and bring your transmission back to factory specs. No matter which Ford you drive, a brawny F-150, a sporty Mustang, or anything in between, bring your transmission problems to us and we'll diagnose the problem and get it fixed at a price that'll have you smiling!